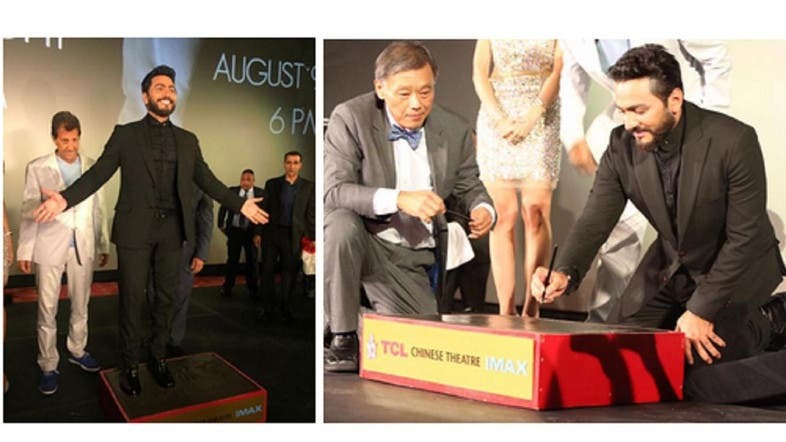 For the first time ever, an Arab star received the honorary hand and foot prints at Hollywood’s iconic Chinese Theater. Egyptian superstar Tamer Hosny, one of the most popular singers and actors in the Middle East, became the first Arab star to be honored with a historic Hand and Foot Imprint Ceremony in this unprecedented event. Last night, Enigma Magazine, the international Arab magazine distributed around the Middle East, put together a historic event at the Chinese Theater in Hollywood Hosny received this honor for his great achievements throughout his career. Hosny’s fans will now be able to visit the Chinese Theatre and see his imprint there for generations to come. Enigma’s historic event was made a huge success thanks to the help of Enigma’s sponsors: Center Wheel, Platinum Records, Hanz Entertainment & Events, Etihad Airways, Byblos, Talent W.M., Trancas International, The Network of Arab-American Professionals, and USA Rotana. This great honor was followed by an exclusive performance by Hosny and the US premiere of his latest movie “Tesbah Ala Kheir” (Goodnight). Later this year the movie will premiere in France and London. This historic event gives pride to all Egyptians and Arabs and will permanently honor the Arabic film and music industry. Hosny has joined Hollywood legends including Michael Jackson, Al Pacino, Marilyn Monroe, Brad Pitt and other great actors who became members of this exclusive club. Egyptian Superstar Tamer Hosny is one of the most popular singers and actors in the Middle East, often dubbed the Justin Timberlake of the Arab region. He is an idol to millions of his fans. Tamer began his singing career in 2002 and has dominated the music charts in the Arab region for the past 15 years, winning numerous awards along the way, including the prestigious Big Apple Music Award and the Best African Artist at the Africa Music Awards. 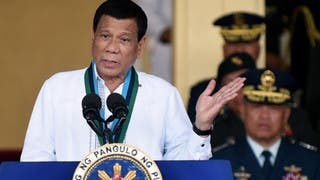 He is a multi-talented star and is one of the few artists in the Middle East who writes and composes most of his songs. His concerts draw huge crowds attracting close to half a million adoring fans to each concert. Tamer has also gained international recognition through his multiple collaborations with international singers including Akon, Shaggy, and Snoop Dog. He also participated with Quincey Jones, Shakira and others in the first Arab International Operette, “Bokra”or (Tomorrow) in 2011. Tamer is also a very successful and popular actor, and is the No.1 box office draw in the Arab Box Office. 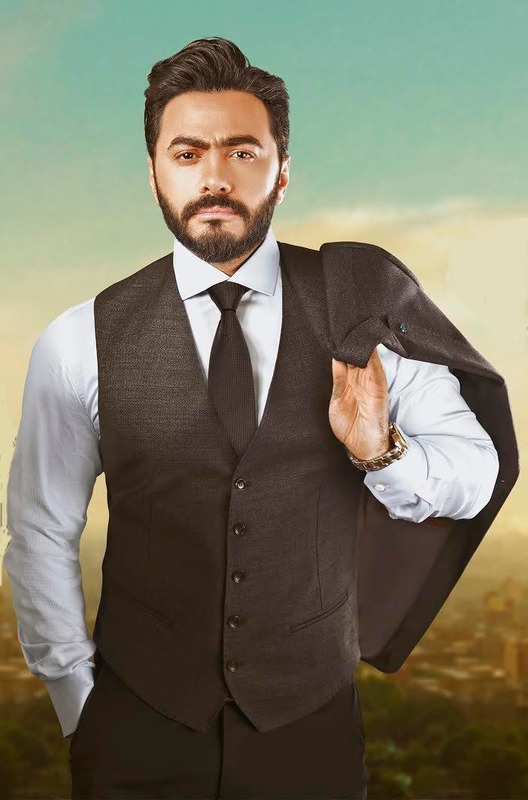 In 2011, Tamer Hosny’s YouTube channel was created to gather millions of users; with over 100 million viewers in only two years - making it the most viewed YouTube channel in the Middle East. In his TV series, Adam, his target was to unite Muslims and Christians in society; the series achieved the highest viewer rate of any Arab series. In 2016, Tamer entered Guinness book of records for the biggest charity campaign in the world for organizing the biggest blood donation campaign with his fans around the world. In the same year, Tamer became a member of the jury in “The Voice Kids” in Middle East. He has starred in numerous films, most recently “Tesbah Ala Kheir” (Good Night); a hit comedy that has received popular acclaim and which will be screened for the first time in the US on August 9 at the iconic Chinese Theater in Hollywood. Hosny welcomed the media and fans from all over the world to take part at this event at the Chinese Theater where he made history. After the ceremony, Tamer sang a few songs after which his new movie: “Tesbah Ala Kheir” (Goodnight) premiered with English subtitles. This special event was organized by Enigma Magazine, a leading glossy lifestyle magazine for the Middle East, based in Egypt and known for hosting high profile glamorous events in Cairo, London, Dubai, Los Angeles and New York. When Hollywood’s Chinese Theater opened in 1927 it was the most spectacular theater opening in motion picture history. The theater rises 90-feet high and has two gigantic coral red columns topped by wrought iron masks that hold its beautiful bronze roof. The Chinese Theater is the most sought-after theater in Hollywood for big movie premieres. Thousands of people have filled Hollywood Boulevard to catch a glimpse of their favorite movie stars attending these events. Rich in movie tradition, with its cement hand and footprints of movie icons in the forecourt, the Chinese Theater immortalizes the brightest stars. More than four million visitors from all over the world visit the Chinese Theater every year, making it an iconic international venue. The Chinese Theater was declared a historic- cultural landmark in 1968, and has recently undergone an extensive restoration that has preserved its authenticity and enhanced its beauty.